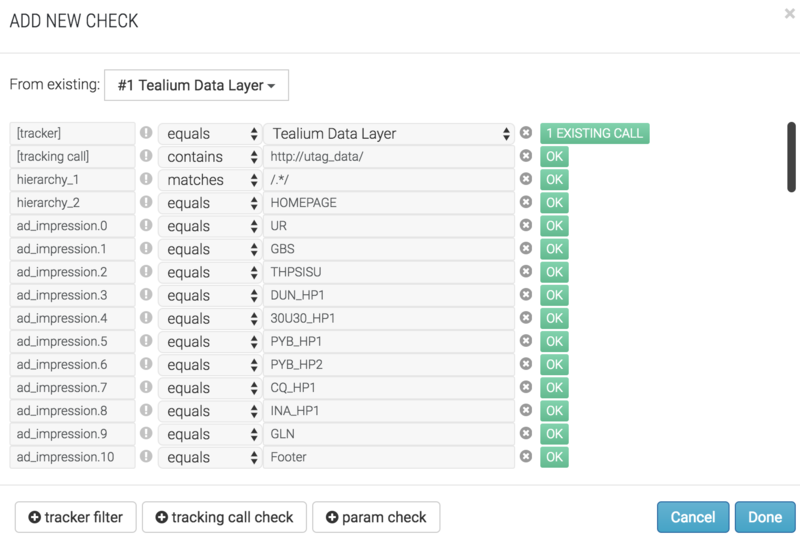 QA2L can now discover and automate the validation of any Tealium Data Layer element. Using a set of logic operators you can configure robust checks for any data layer element in addition to checks for specific vendor requests (Google Analytics, Adobe Analytics, etc) that are issued as a result of a page load or other user interactions. Using QA2L's Manage console you can then automatically enable such checks to run on a schedule that suites your needs. When QA2L detects deviations from the expected tag structure, you get an alert in our inbox indicating what exactly has failed. You can also configure such alerts to be sent to a Slack channel. 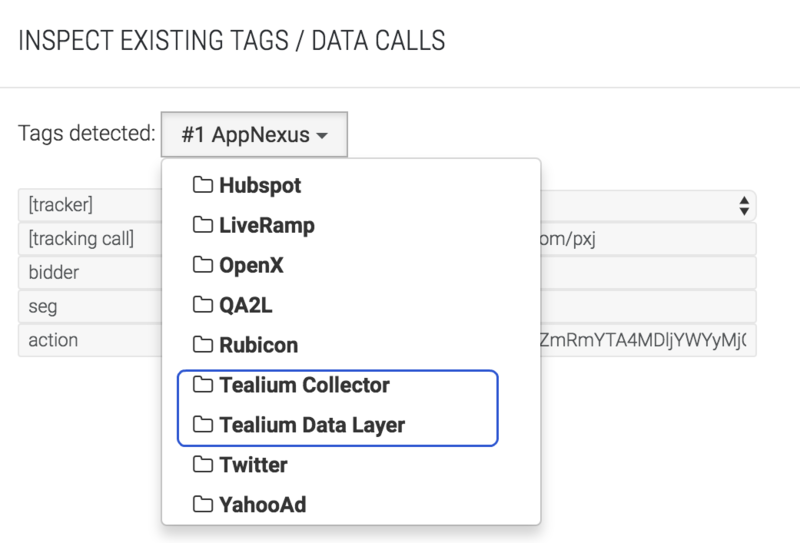 If manual verification of data layer elements is not an option for your organization and if you'd like learn how to effectively automate the regression tests of data layers in addition to 3rd party tags, contact us to schedule a demo or set up a free trial account.